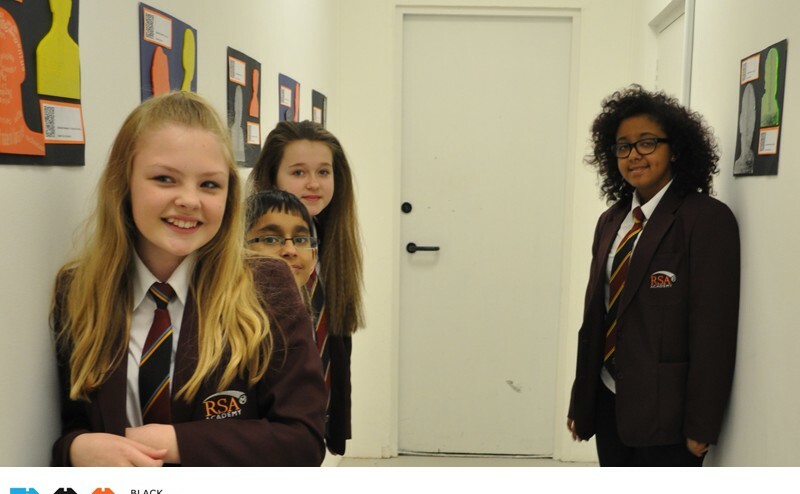 BCA has just completed term 1 of a multi-year project with RSA’s family of Academy schools. Supported by the Comino Foundation, BCA is working with teachers to introduce 2D and 3D design, laser cutting and 3D printing to re-invigorate technology learning across DT, graphic design, and STEM. One of the most exciting developments of the first term has been the decision by RSA Tipton to adopt BCA’s newly approved Smart Product Design and Manufacture qualification. Starting in the summer term, students will be working towards a Level 2 GCSE equivalent qualification combining 3D printing, laser cutting, and embedded computing. In term 1, BCA worked with RSA Tipton’s BTEC engineering group looking at Computer Aided Manufacture. A group of year 12 students are now supporting lower students as they start their Smart Product Design course. From Key Stage 2 students designing and making on computers (RSA Ipsley), to GCSE students boosting their art and graphic design portfolios by leveraging digital fabrication (RSA Whitley), BCA is working with each Academy to introduce the exciting opportunities of new technologies to students. We will continue to post updates from this project here and on RSA’s digital fabrication page. To find out more about this project please contact BCA.